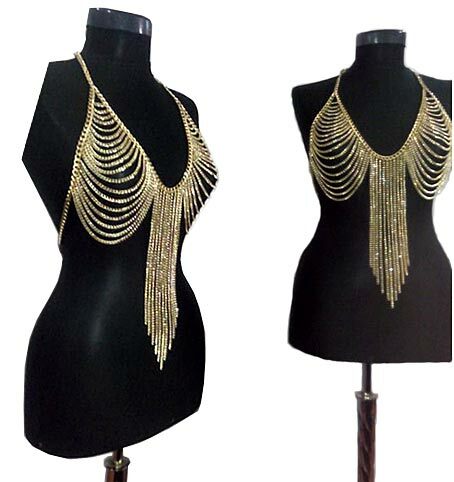 Multi-layer tasselled gold body chain with curb chain design. There are 11 layered hanging linked chains to the front as well as 20 chains each side draping from the shoulder down over the bust. Adjustable clasp and lobster clip fastening. This body harness looks fantastic on, whether over clothes or swimwear – making this the perfect summer body jewellery.